← Its Election Time in Canada Too ! Mini Rollout – GT750 Project ! Today marked a small milestone in the GT750 Project I’m working on, as I fitted up the freshly painted side covers, tank and tail piece to the frame to check the fit and clearances one last time. Of course I’m biased, but I like how it looks. To the far left is what a late 1978/early 1979 GS750 looked like, and to the right you see how the GT750 is shaping up. Extending the GT750 frame has preserved the correct arc for the rear wheel, and stretching out the tank and changing the seat level actually results in quite a comfortable riding position. As well, the line through the front reflector to the rear tail light is a close match for that of the factory GS750 which is the look I was aiming for. An obvious big difference is the wheels – the 1977 GS750B and 1978 GS750C both had spoked wheels, but the 1978 GS750EC had the ‘snowflake’ pattern mag wheels – I may still decide to add a set to the project bike, as I do like the look of them. I have a set of decals for the striping on the tank and rear tail piece coming from Reproduction Decals in eastern Canada which should be here sometime next week. I admit I find them a bit annoying to deal with as they are a Canadian company but price everything in US dollars so when the Canadian dollar is down, as it is this week, they are effectively making a bit of a windfall on both Canadian as well as US buyers. I will order the new tank badges and side cover badges from Badge Replica in Australia as the price is more reasonable, and the parts appear to be identical to what is offered by Reproduction Decals in Canada. At the moment, I’m just waiting for a few more bits and pieces to arrive before I can get serious with the engine ! 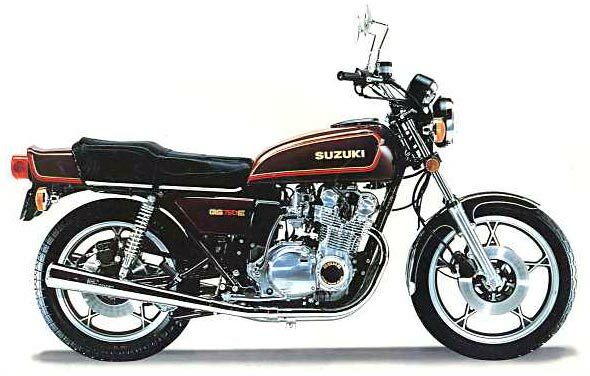 This entry was posted in Motorcycle and tagged GS750, GT750, Suzuki, Water Buffalo. Bookmark the permalink.